Your mobile or manufactured home is also one of your most valuable assets and a manufactured home insurance policy will provide you protection should the unexpected happen. 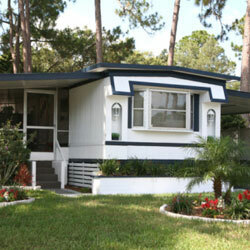 In general, a manufactured home insurance policy can provide various different coverage options. Coverage options range from protecting the physical structure of your mobile home and other structures, personal liability protection, additional living expenses, and personal property. Specific coverage options and insurability of manufactured homes vary by state and the insurance company issuing the policy. Call us now to request your manufactured home insurance quote from an agency that strives to consistently provide our customers with superior coverage, service and savings.